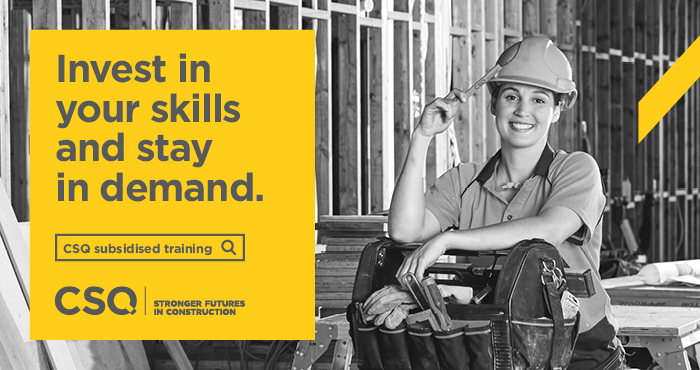 Brisbane-based creative agency Brother & Co. has launched its first campaign for Construction Skills Queensland (CSQ). The ‘Invest’ campaign speaks directly to tradies and their employers, encouraging them to invest in skills training to build a strong and sustainable future. To ensure down-to-earth relatable communications were created, tradies were cast as hero talent. Both stills and motion footage were captured on shoot, with 30-second, 15-second and 6-second films now running alongside large-format out-of-home assets, various digital assets and 30-second radio assets. Brother & Co, strategist Kurt Viertel said the campaign, was driven by a simple insight. “Investing in skills development is the number one way for tradies to remain relevant and for the Queensland industry to stay healthy and competitive,” he said. Brother & Co. worked with producers’ director Mitch Kennedy and photographer Jon Webb on the campaign.